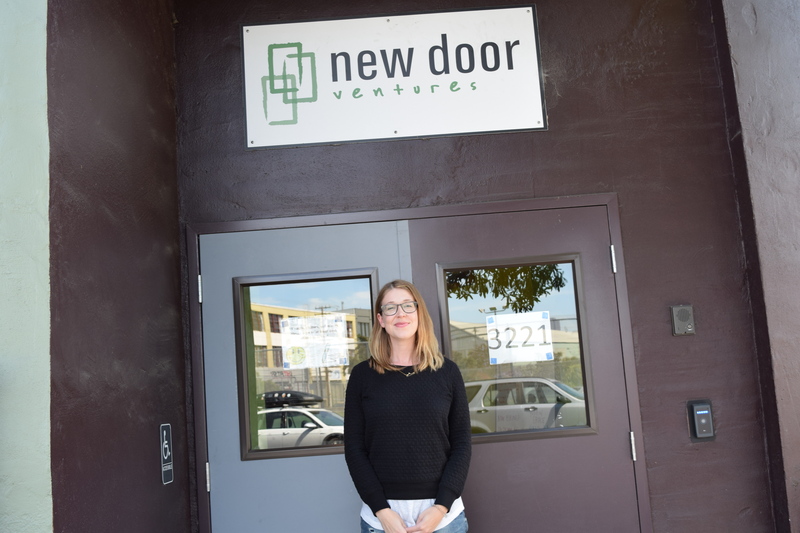 Liz started volunteering as a tutor with New Door Ventures three years ago and continues to find the inspiration to return. Liz, a high school teacher from Canada, moved to San Francisco five years ago. She was looking for ways to get involved with the community and found a posting online about volunteer opportunities. Liz also volunteers with the California and San Francisco public libraries and a creative writing nonprofit, but none of them can replicate the welcoming atmosphere she feels at New Door. Liz has tutored more than 20 youth through New Door. When Liz first started volunteering she was paired with an 18-year-old who struggled with reading and writing. At the time, he was reading at a 3rd grade reading level. Liz would meet with the youth twice a week for one-to-two-hour tutoring sessions. She was dedicated to helping to improve his reading skills. 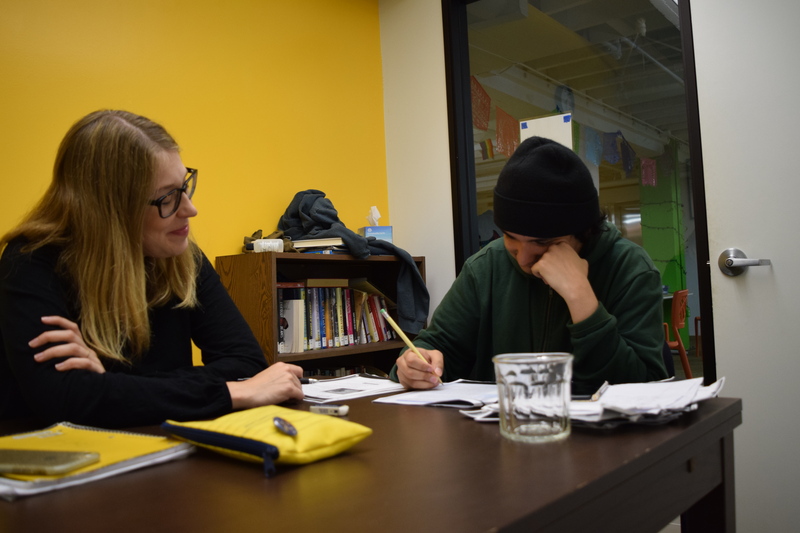 Liz is currently tutoring Gustavo, a young man working towards obtaining his high school equivalency certificate, in writing, reading and social studies. “Over the past year and a half, we’ve read a few novels together with accompanying comprehension questions,” she says. She also helps with his homework and general comprehension skills. “I have noticed a big improvement in his sentence structure, the level of detail he gives to written answers, as well as his comfort and confidence in providing oral answers,” says Liz. Furthermore, she’s found that the one on one tutoring has helped Gustavo gain confidence and come out of his shell.